Ants can have a number of meaning in dreams. Here we will go over some common and possible associations this dream symbol may have to help you with the interpretation of your dream. What Does it Mean to Dream of an Ant? There are many things that an ant can mean. And yes, ants can also be tiny but mighty spirit animals! Ants in our life can often mean that we are working very hard for something. Ants are also a good symbol for strength - Ants are known to be good at lifting up to 5,000 times their own body weight! If an ant is present in your life as a spirit guide or in a dream, it can be a good indication that you will have the strength to get through something difficult. Another possible meaning is you will be able to do what you need or want to do in life. It can mean that you will be able to achieve the results you desire in a current situation in your life. Ants as spirit animals also give us the wisdom to stay in the present moment. Ants can be fascinating to watch, and are often reminders for us to be more mindful in our day to day activities. Ants are also very busy and industrious workers. If ants are present in your life, it can be a sign that you are working efficiently or effectively. It can be a subtle message from spirit that the universe is always working miracles every day on your behalf. Ants also work together to reach a common goal. Dreaming of ants or seeing ants can mean it is important for us to cooperate with others. You may be craving connection to a community. It may be beneficial for you to start working with others on a project. Ants are here to remind us there is strength in numbers! Dreaming of ants working or moving: If you dream of seeing ants at work in your dream this is usually an indicator that you are going to be faced with an important or difficult project, but that with sufficient help from others you will be able to successfully accomplish the task. 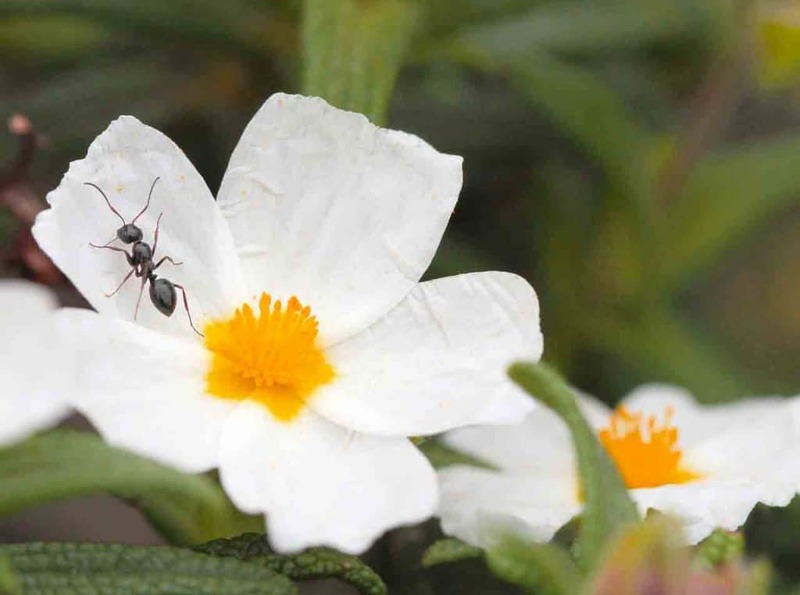 However, seeing ants working may also signify that you wish to explore something bigger as an individual, since ants are small in nature and work in a team environment. If you are dreaming of ants in your house, it means there is an aspect about yourself or your life that could need some work or attention. You may also want to look at the meaning of houses in dreams to understand the dream meaning further. To see an ant hill: If you see an ant hill that has been destroyed, this suggests failure to complete a project you have taken on. If the ant hill is near you, it may suggest that you are afraid of tackling too large of a project. If it is far away, you may be concerned about work related matters that are on the horizon. To see ants carrying food: If the ants are carrying food, this could mean that you are on your way to seeing the reward of your hard work. It may also suggest you need to think about cooperating with others. 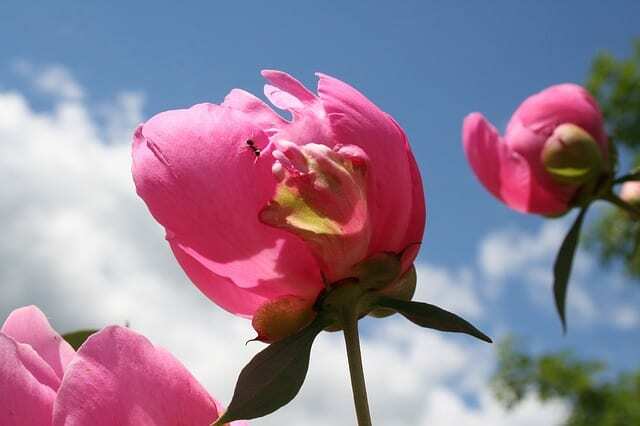 To see an ant on a flower: Dreaming of seeing an ant on a flower means that you are moving toward a transition of change and growth. You may be working to bring new ideas into bloom. Flying Ants: Flying ants may be a sign that you have feelings of breaking free from the routine and predictability of your career or life matters. If an ant is flying toward you, it may signify that something small is bothering you in waking life. To have ants crawling all over you: This suggests that something is irritating you in your waking life and that you are ready to begin to take steps to resolve it. If you are stepping on ants or destroying a nest, this could potentially mean you are either changing your work or coming to completion of a project you found stressful or as a irritating. Red Ants: Red ants, also sometimes known as fire ants, can mean that you are concerned about something "coming to bite you" - perhaps signifying regret or past feelings and emotions. It can also mean that something small may be bothering you or "raising a red flag" to warn you. An ant farm can mean that you seek organization and structure in your career or professional matters, or it can mean that you are doing work that you really enjoy. It can also mean that you enjoy working systematically and productively. When thinking of your dream about ants, think of the context of the dream and what you associate with them in waking life. Using clues from other parts of the dream can greatly help with understanding the meaning. Remember: You are the best interpreter of your dreams! Ask yourself: How did I feel during this dream? What did other elements of the dream mean? Are there other dream symbols I should look up? You may also want to think about words that sound like ant - such as a family member type of aunt. If you have a dream about an ant, it could possibly be a way of your mind trying to tell you about an aunt in your family - sometimes our minds do confusing things in dreams, especially in release types of dreams! Have you had any dream experiences about ants? Have ants helped you understand something in your life? Share your thoughts on our ants dream meaning interpretation and experiences with ants as spirit guides, power animals, and spirit messengers in the comments below! I saw a colony of ants coming towards me and i took a ants spray to kill them. In my dream I was walking on a concrete path and kicking an ant as I walked along tormenting it absentmindedly … Then it retaliated and started to chase me jumping up at me … I backed away up the path and found it confronting in the dream but unafraid of it . Ant destroying gift ???? pack means? In my dream, i plow the soil where fire ants lived there. And I found beautiful queen ant, 3-4 inch long, yellow in color but when i pull it out from the ground I noticed her left arm was missing its half. I dreamed of fire ants in the snow. We were cutting into the ice to go fishing and huge colonies of fire ants would emerge. Nobody got hurt, we just kept trying new spots, but always the fire ants would emerge.